As the Cavaliers playoff series continues, the City of Cleveland would like to remind visitors and all those in the downtown area of the parking restrictions that will be in place for the home playoff game this Tuesday, April 21 at 7:00 pm. “No Parking” restrictions will be in place at the below areas. These restrictions go into effect two hours before game time. Arrive early. Plan your commute beforehand to effectively utilize your time. For Tuesday’s Cavaliers game, there will be a free FanFest outside The Q beginning at 4:30 p.m. Arrive early to enjoy the festivities. Ride RTA. RTA will operate Red Line trains every 15 minutes to accommodate Cavs fans. Blue and Green Line trains will operate according to the regular schedule. All rapid lines will serve Cavs fans for at least 90 minutes after the game ends. Park for free at many of RTA’s rapid stations, buy a $5 All-Day-Pass and take the train to Tower City Station for an easy walk to the Q through the enclosed Walkway near Tower City food court. 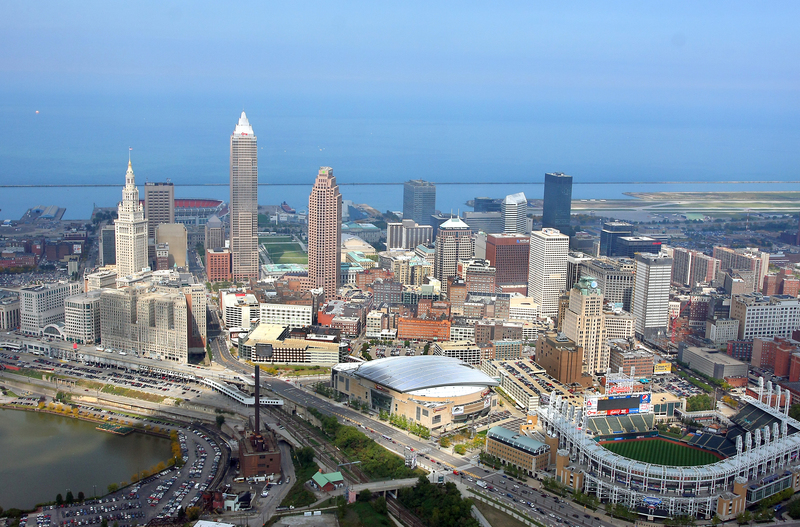 Plan your commute with http://www.riderta.com to enjoy all Downtown Cleveland has to offer. Outbound I-77 traffic now uses a wider, more attractive boulevard along Orange Avenue. The E 14th Street entrance to I-77 south has been improved and Broadway Avenue also provides a great alternate to reach I-77. For a map of alternate routes, please click here.